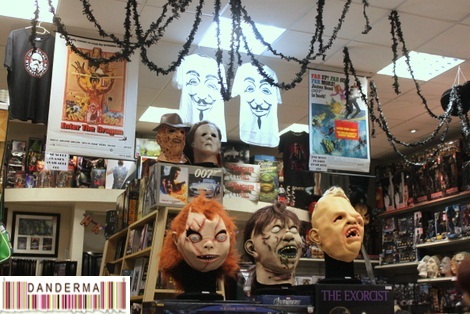 There is this quirky little shop in London I frequent whenever I’m there called the Cinema Store. 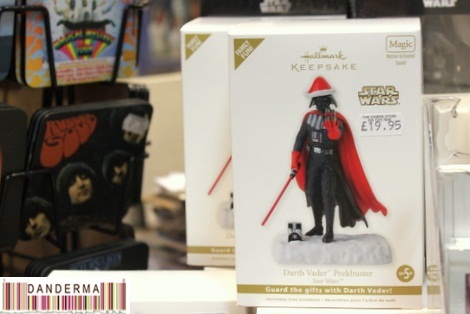 From its name you’d know what its all about: stocking everything cinema or movie related. 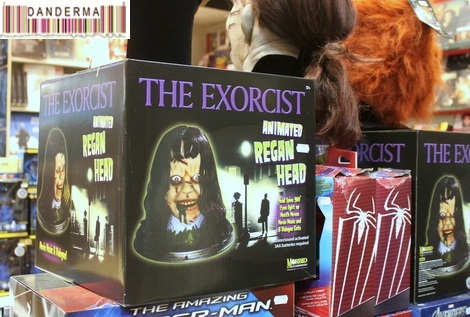 Since I took the pictures for this post in the week leading up to Halloween you can notice the Halloween spirit in the merchandise display. 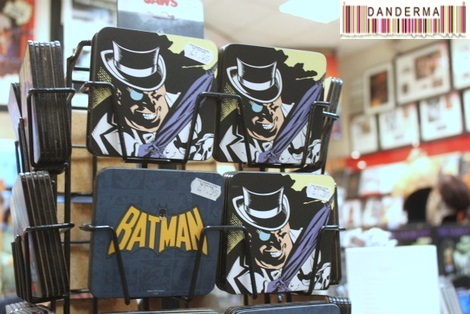 If you are a fan of movies, or anything related to movies, theyn you would feel at home inside. 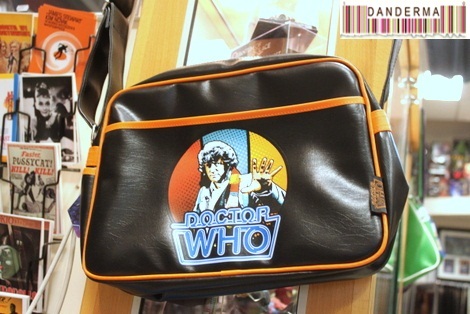 For example you can shop for Movie DVD’s, Movie T-Shirts, Movie books. Original Movie posters, some of them for really old movies like Sean Connery’s James Bond or Back to the Future. 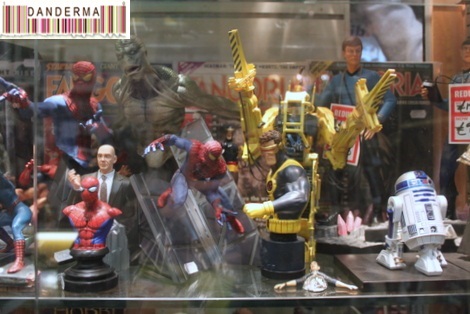 Movie characters toys and figurines if you are a collector. 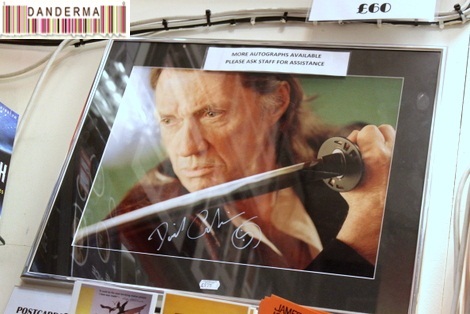 Autographed movie pictures, many of which are lining up one wall of the store. 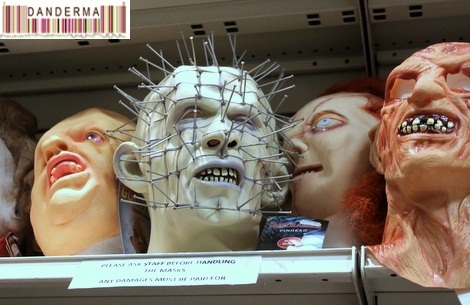 Masks of movie characters and much much more! 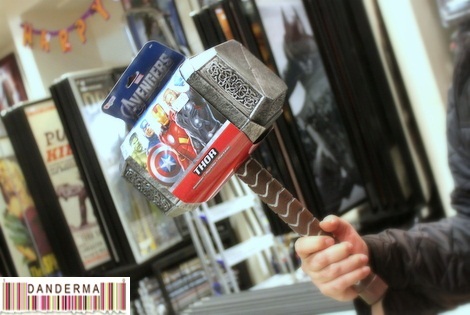 I wanted badly to take home Mjölner, Thor’s hammer. Alas, I had to let it go. 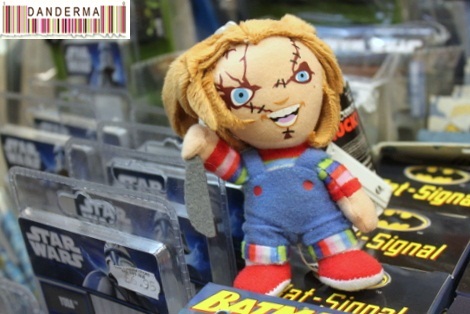 How cute is this little Chucky? I almost got that one to myself but, err, I actually got spooked so I didn’t. 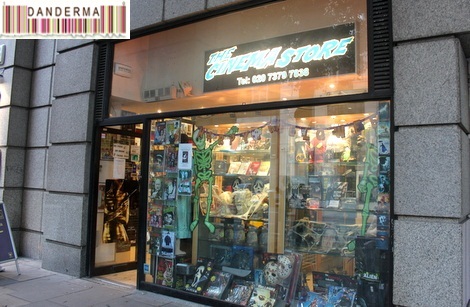 The Cinema Store is a great place to visit and given its location in the Area between Covent Garden and Leicester Square near the Theatres district of London it would be an ideal place to spend some time shopping while waiting for a play to start. They are located in Upper St.Martin’s Lane right across from Dishoom (post) and St. Martin’s Square (post). For more information you can check their website (link), like their facebook page (link), or follow them on Twitter (@TheCinemaStore). 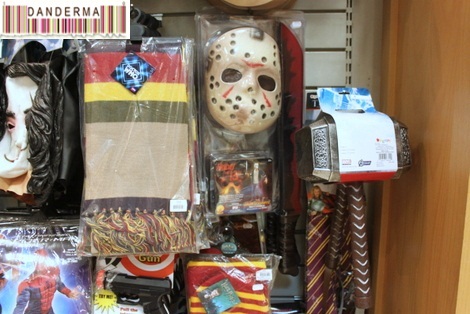 the items look AWESOME, I can imagine how the prices would be if they open a branch in Kuwait . 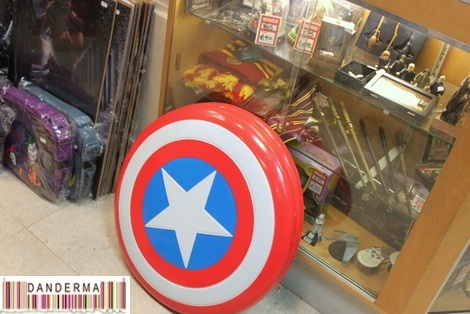 Just wanted to mention that they’re also the only store in London to stock region 1 movies and tv shows from the US. Kil isboo3 the latest releases come out. Movies in the US obviously come out before they do in the UK, same with tv shows, so I have to stock up on movies and tv shows every week here. 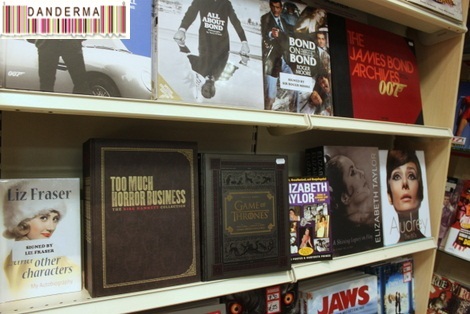 Prices are very reasonable too, not that much more expensive than UK dvds, considering shipping and import fees. Love your blog btw!